9. 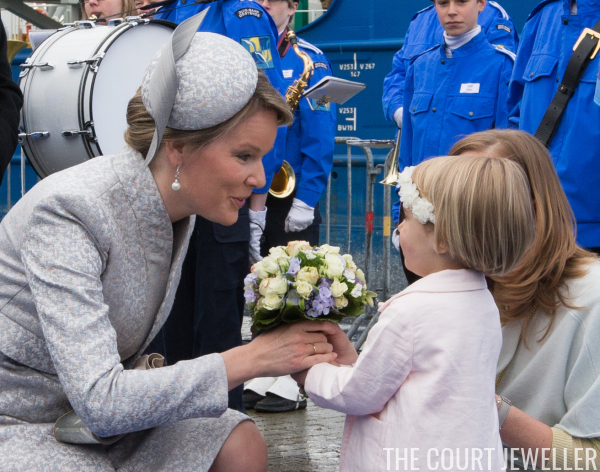 On Thursday, Queen Mathilde of the Belgians wore pearl drop earrings at the ceremonial launching of a new ship in Oostende. 8. 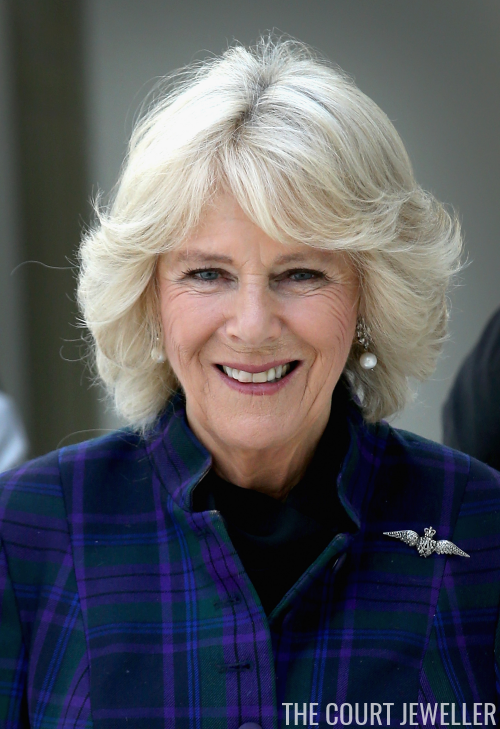 The Duchess of Cornwall wore diamonds and pearls, including a diamond RAF badge, for engagements on Thursday. 7. 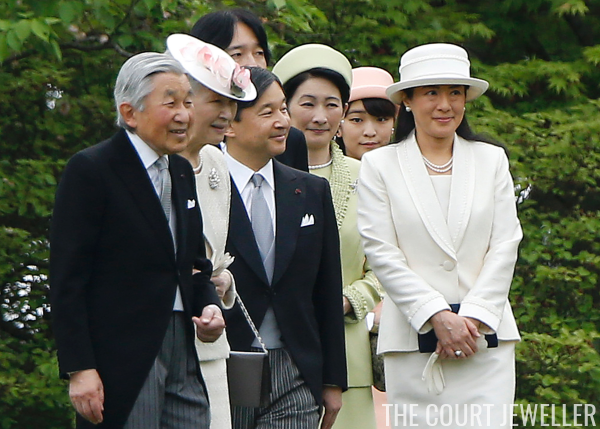 Pearls were out en masse on Wednesday as the Japanese imperial family hosted a garden party. Empress Michiko, Crown Princess Masako, Princess Kiko, and Princess Mako were all in attendance. 6. 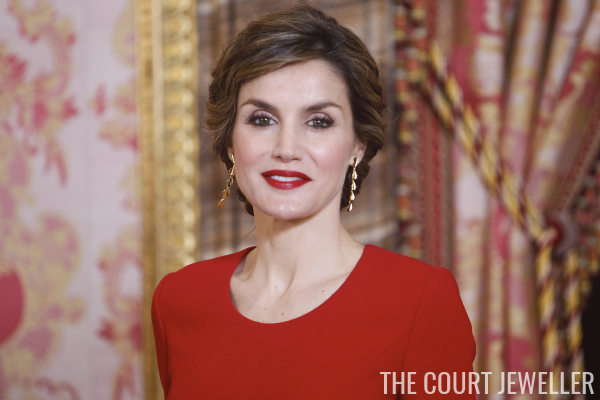 The Spanish royal family celebrated the 400th anniversary of the death of Miguel de Cervantes this weekend, and on Friday, Queen Letizia wore gold earrings by Tous during a luncheon for the Cervantes award. 5. 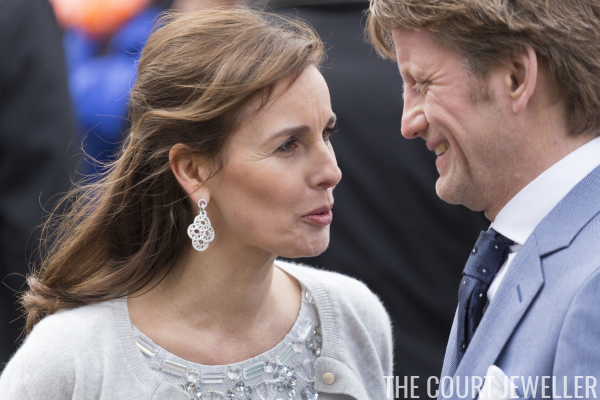 Princess Anita of Orange-Nassau glittered in earrings by Cartier at Wednesday's King's Day festivities in Zwolle. 4. 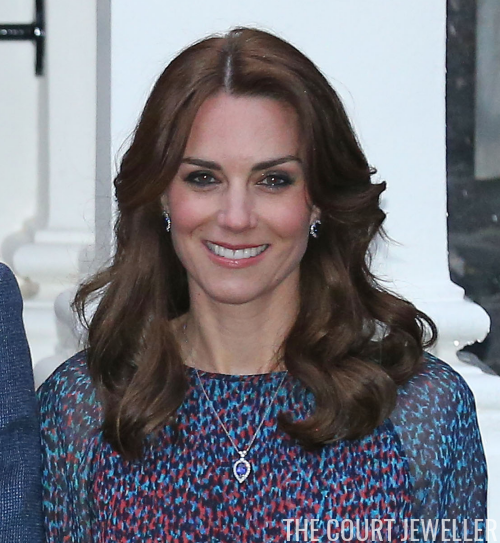 To host President and Mrs. Obama for dinner at Kensington Palace, the Duchess of Cambridge wore her Collins and Sons tanzanite and diamond suite. 3. 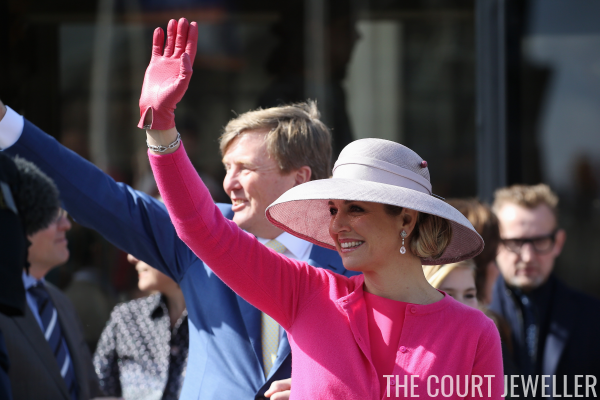 Queen Maxima of the Netherlands wore diamonds galore for King's Day on Wednesday, including earrings and a ring that include pink gemstones. 2. 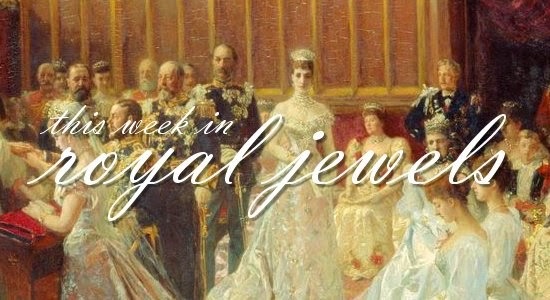 Queen Elizabeth II and the Duke of Edinburgh hosted President and Mrs. Obama for lunch at Windsor Castle on Friday. 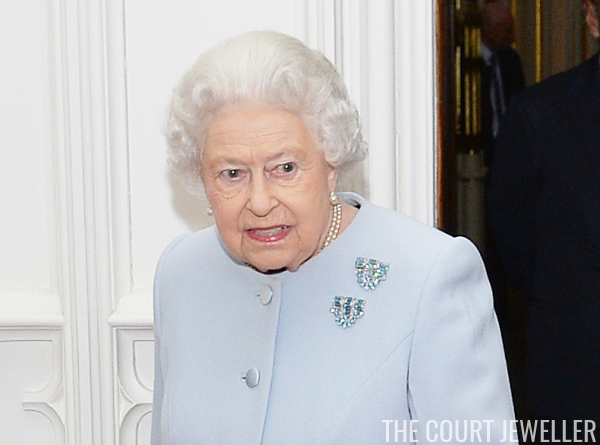 The day after her 90th birthday, she wore one of her 18th birthday presents: diamond and aquamarine clips attributed to Boucheron. 1. 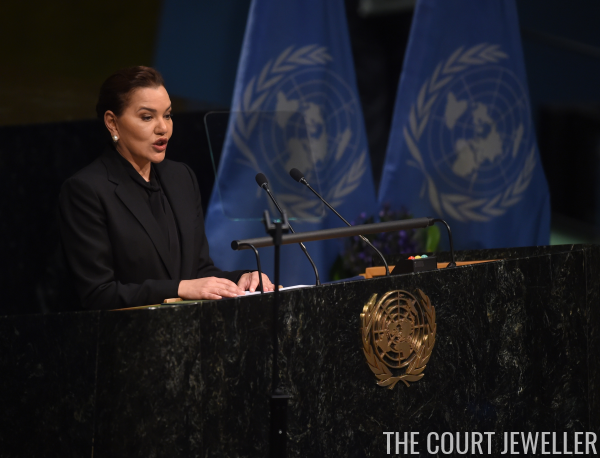 My top vote of the week goes to another piece of diamond and aquamarine jewelry: the modern Bulgari earrings worn by Queen Letizia to celebrate Cervantes on Saturday.